We first did this interview during early Spring. Unfortunately, our site was compromised and the interview along with critical data was lost. Mr. Smith was more than generous with his time to allow me to harass him once again. .
Hopefully, this video will give investors a better understanding of what a private placement or platform trade is by dispelling the myths and only presenting the facts. 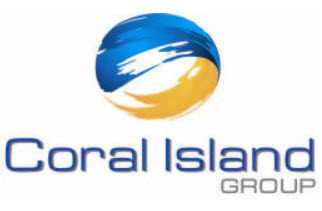 As a client of the Coral Island Group, I cannot stress the impact their client management services have made to not only the bottom line of my portfolio but to my peace of mind which at the time were "uncharted territory" types of investments to me. It is because of Mr. Smith, that I was able to profit and exit safely out of an investment that took a turn for the worst. To date, I am the only investor to ever profit and receive their principle investment back from the gold trading platform Berea, Inc.
On a side note...the Feds have finally indicted the principles at Berea; Richard Hall and Gregory Botano, as well as the company's general counsel the Toussaint Law Group, including their principle Mr. Toussaint. Every dog shall have his day in court and hopefully the rest of his life behind bars. Anyone considering this type of investment should perform your OWN due diligence on EVERY single entity and person involved with the program offering and its management. If you do decide to contact Mr. Smith, please let him know you saw the interview on this site. Ivanhoe Nathaniel Smith is one of the best kept secrets and creative minds that has emerged out of Wall Street. His stellar career has taken him from the labs at Chevron to the boardrooms at Morgan Stanley; and eventually at the helm of not one but two private equity firms with hundreds of millions of dollars under his management. Currently, he is the co-founder and Managing Partner of the Coral Island Group, LLC, which provides advisory services to both private and institutional clients seeking private placement investments as well as asset and fund management. The group also provides corporate advisory services for mergers & acquisitions, divestitures, corporate restructurings, recapitalizations, spin-offs, exchange offers, LBOs and takeover defenses as well as shareholder relations. Prior, Mr. Smith founded Avalon Capital Partners, a private equity firm which specialized in institutional and government subsidized private offerings. Under his leadership, the company thrived and was named one of the fastest growing BE100 businesses in North America. Although he is no longer at the helm, Mr. Smith remains on the Board of Directors. Before Avalon Capital Partners, there was Smith Wiley & Company. After leaving Morgan Stanley as a Senior Vice President of the Corporate Bond Markets, Mr. Smith co-founded the asset management firm specializing in institutional pension fund management. He later sold a 33% stake in the firm to Aetna Life and Casualty Company. He remains on the Board of Directors there as well. Aside from starting and growing successful businesses, Mr. Smith has lent his vast knowledge and experience to the public sector over the years. He has and continues to consult the Pennsylvania Department of Housing and Urban Development. He spear-headed the successful re-development of Progress Plaza; a landmark commercial corridor within the Temple University area. Mr. Smith co-founded a Philadelphia based CDC and continues to serve on their board. He serves as the Chief Financial Officer for the WE GLOBAL Foundation. He founded the Ivanhoe Group that provided venture capital services to entrepreneurs in Empowerment Zone(s) and Business Enterprise Areas within large urban cities. He has assisted the Philadelphia Federal Reserve with the creation of the New Market Tax Credits. He even provides advisory services to the Pennsylvania Legislature. Mr. Smith has a MBA from Harvard Business School and a BS, Chemistry degree from Cheyney University of Pennsylvania. He also speaks fluent French. Chairman SBS Co/SBS Engineering discussing the IMS and Zero Micron merger with SBS Co.